Yeshiva University’s Center for the Jewish Future recently sent a cohort of students to Israel as part of its seventh Counterpoint Israel Program. While the first year of the program had 12 student counselors at one camp site, this year, nearly 70 students are working as counselors in six different camp locations. 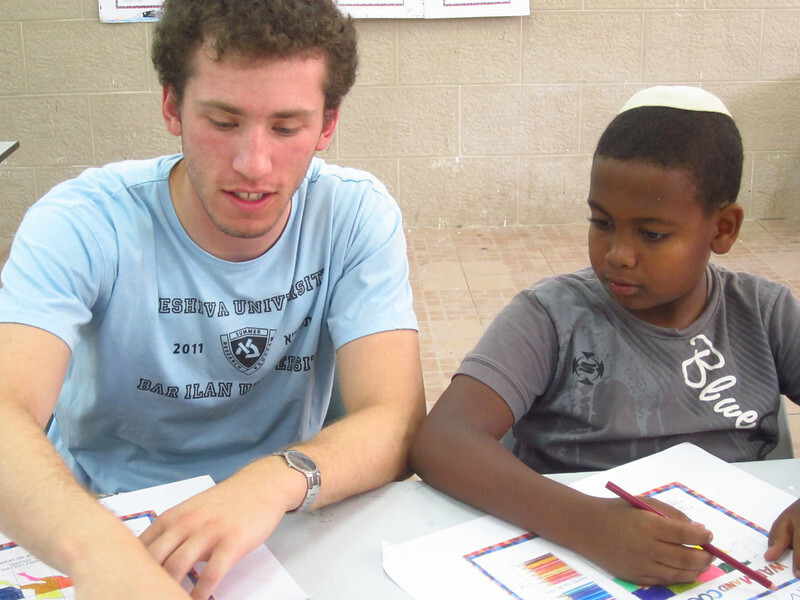 The students, who returned home on August 6th, ran enrichment programs in the English language and other academic skills in Dimona, Arad, Beer Sheva, Kiryat Gat and Kiryat Malachi, all cities with significant populations of at-risk youths. YU students worked with the youths to improve their English, overall academic proficiency, and to help keep them busy and out of trouble during the hot summer months. Overall, close to 1,000 local teens have benefitted from the efforts of the YU students since the program’s inception. Israeli teens receive healthy meals during the day and participate in various classes in art, martial arts, sports and English language immersion. There are trips to Jerusalem and the Old City, a movie festival trip, chesed activities, and even an airport trip to welcome new olim (immigrants) who have just arrived in Israel via Nefesh B’Nefesh.